The First Responder Face-Off Foundation is proud to sponsor two players on behalf of the Columbus Police Hockey team and the Columbus Division of Police. 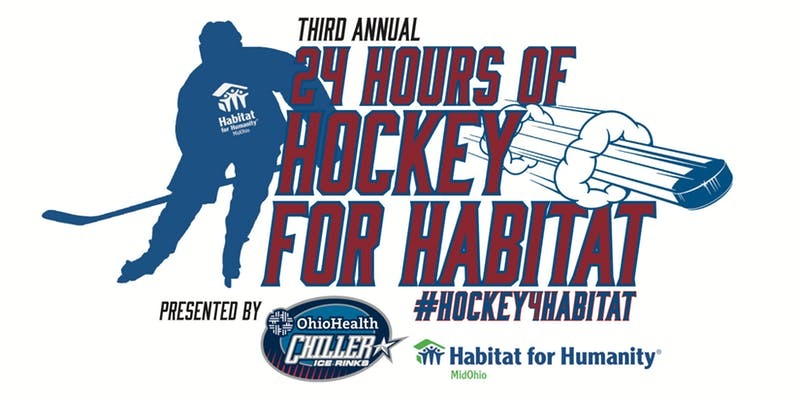 24 Hours of Hockey for Habitat benefits the Veterans Services division of Habitat for Humanity Mid-Ohio in support of our Veterans right here in Central Ohio. Our goal is to raise an additional $2,000 through this initiative and game in showing our support and welcome you to come out to Chiller North on June 14 & 15 to cheer on and support the players! Please help us in reaching this goal by making a donation below. Keep an eye on this page for upcoming details as we work with our partners for a tailgate at Chiller North on June 14 & 15! Thank you for your support!